The facilities here are fabulous and stunning views of the adriatic. The staff is always responsive and added them to my Viber before arriving. The apartments are very close to Old Town. The apartment was beautiful,and the views from the windows even more so . The breakfast to your room was a lovely extra. The staff are wonderful,and friendly. I will go back. 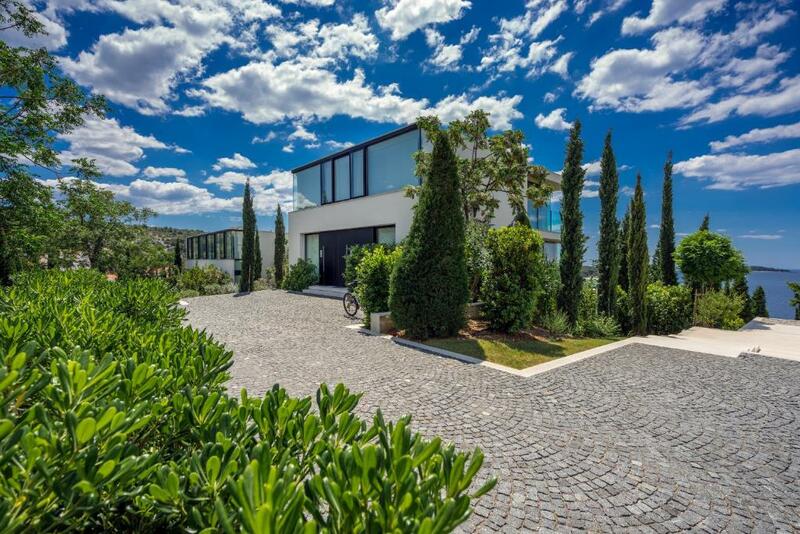 Beautiful views, contemporary design, very quiet, but close to old Primosten. Great walk into Primosten along the beach. Superb place to stop en route was the Bau Bar. - Peacefulness of the place and Great Privacy. 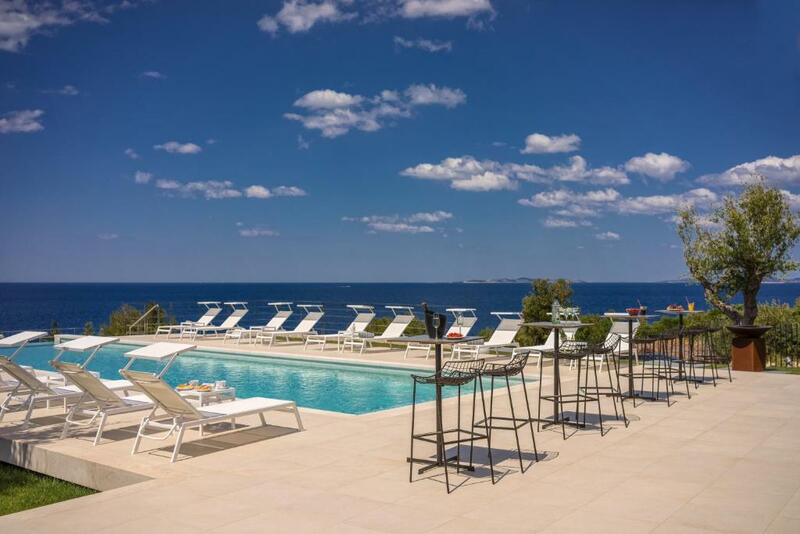 - Outdoor facilities and surroundings are very pleasant with a fantastic pool and a great view on the sea. - Beach area well organised and making the location great to swim in the sea. - Walking distance, by the very nice sea side, to Primosten, very quaint village. Extremely spectacular sea-view. Wel- designed furnitures, well-equipped kitchen. Lock in a great price for Golden Rays Apartments – rated 9.2 by recent guests! 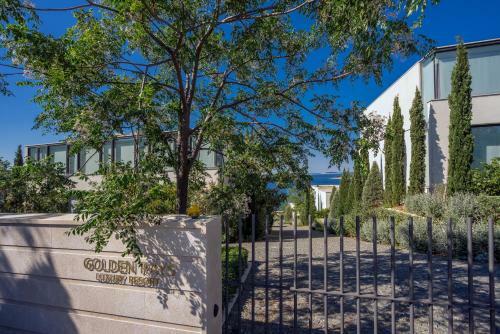 Golden Rays Apartments This rating is a reflection of how the property compares to the industry standard when it comes to price, facilities and services available. It's based on a self-evaluation by the property. Use this rating to help choose your stay! 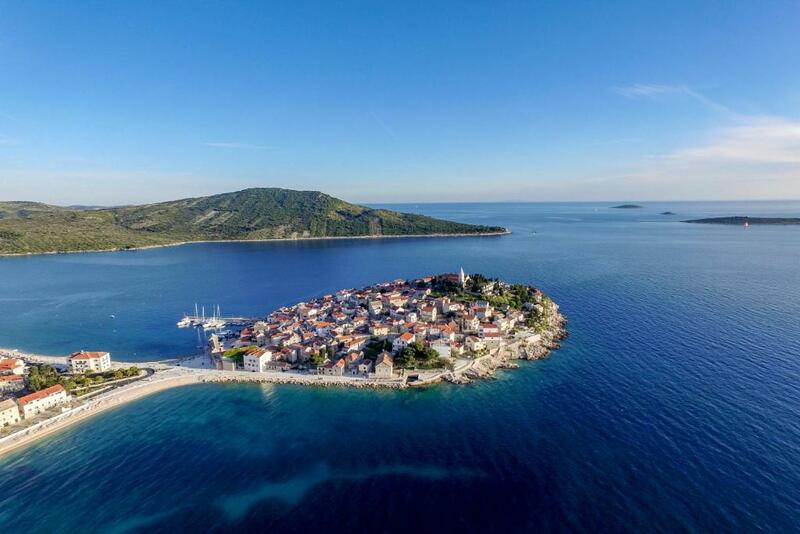 One of our top picks in Primošten.Golden Rays Apartments are located in a quiet and peaceful bay, 0.6 mi from the town of Primošten. The luxurious and modern apartments all overlook the sea and feature free Wi-Fi and direct access to the sea. From 2016 the infinity pool with sea view is on disposal for the guests. All apartments and villas offer floor to ceiling windows and various modern amenities. Air-conditioning, a flat-screen TV with a DVD player and a fully equipped kitchenette with a dining area are offered in each unit. The terraces and balconies overlook the sea and come with sun loungers. Transfer service, car, boat or bike rental can be arranged on site. Concierge service is offered to guests in order to provide all the needed information and services for a relaxed and stress free holiday. Golden Rays Apartments are open throughout all year. Main Bus Station can be reached in 0.6 mi, while the Primošten Marina is 1.9 mi away. Split Airport can be reached in 17 mi. When would you like to stay at Golden Rays Apartments? Spacious and well-lit apartment fitted with modern furniture and various luxurious amenities. It offers air-conditioning, a flat-screen TV, a fully equipped kitchenette with a dining area and a private bathroom with free toiletries and a hairdryer. The furnished terrace overlooks the sea, and the infinity pool with is on disposal for guests. Luxuriously furnished apartment fitted with floor to ceiling windows and various modern amenities. It offers air-conditioning, a flat-screen TV with a DVD player, a fully equipped kitchenette with a dining area and a private bathroom with free toiletries and a hairdryer. The furnished balcony overlooks the sea, and the infinity pool is on disposal for guests. Luxurious apartment with spacious balcony and unique sea view. It offers air-conditioning, a flat-screen TV, a fully equipped kitchen with a dining area and a private bathroom with free toiletries and a hairdryer. GOLDEN RAYS residental complex is the pioneer of luxury tourism in Dalmatia. Hosting affluent clientele looking for luxury furnished, modern and fully equipped estates, this VIP complex is ideally located on the seafront. House Rules Golden Rays Apartments takes special requests – add in the next step! Golden Rays Apartments accepts these cards and reserves the right to temporarily hold an amount prior to arrival. Please inform Golden Rays Apartments of your expected arrival time in advance. You can use the Special Requests box when booking, or contact the property directly using the contact details in your confirmation. pool/ bar staff very unfriendly! Everything was fantastic at golden rays.the only thing that could have been better was the path into primeston. It was very rocky. But that is no fault of golden rays. A few minor things: would be good to have railing on stairwell in unit. Adding wash cloths and Kleenex. Pool was cool/unheated but refreshing. Would be nice to serve snacks at bar pool. - We had the apartment #4 - Sea view was possible only from the top of the apartment (bedrooms area) - Close to road, which could a bit busy and noisy. - The 2 single bed room was a bit small for 2 young adults. - Only 1 bathroom. - Additional costs for any service. For some we can understand, but for some others, it was unexpected for this level of accommodation: towels, cleaning (even if we had 1 time free because of staying 7 nights). Too expensive for the apartment level. No ensuite baths. Small beds. Comfort level does not correspond to price. We don’t have any complaints. Everything here was top notch. There was a problem with the internet and we had no wifi during the 4 days. The view and village near. We have had minor problem with shower drain.